An eye-catching ring that created by Crystal Evolution. 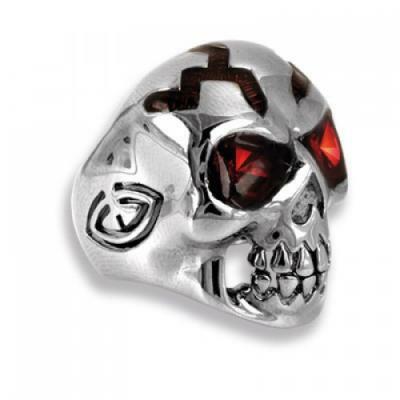 A skull in 925 sterling silver with Swarovski crystal eyes red. Studied in detail, eccentric and aggressive, ideal stopover for those who love to dare. 925 sterling silver, Swarovski crystal red. Approximate weight 17-18 g, weight varies depending on the measure chosen.